The production of the current spec Ford Aspire has come to an end. We expect the facelift model to launch soon in India. The 2018 Ford Aspire Facelift comes with a number of upgrades, both on the outside as well as the inside and the engine department. We have informed you earlier that Ford India is all set to launch the Aspire facelift in India soon. The American automaker was testing the latest iteration of this compact sedan on Indian roads since last year. Honestly, we were expecting to see the updated Aspire at the 2018 Auto Expo. However, we never got the chance as Ford did not take part in the event altogether. Nevertheless, it seems that the launch of the Aspire facelift is due sometime soon. We say that because the American automaker has just rolled out the last vehicle body of the current generation Aspire. This means that the production of the current Aspire has come to an end. Now the automaker will start making the updated Aspire. Expect the launch the happen sometime during the first half of 2018 itself. 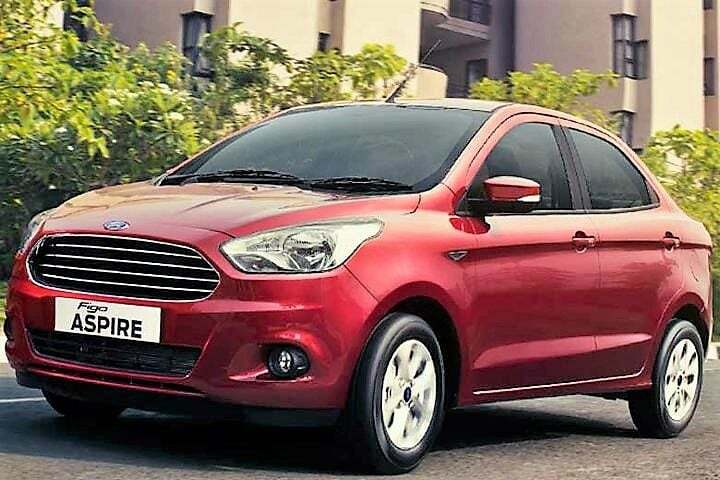 That said, so far there is no official confirmation regarding the launch date of the 2018 Ford Figo Aspire facelift in India. 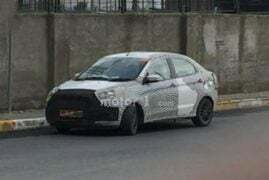 However, according to a few unconfirmed reports, we believe that Ford will bring the revised Aspire to India in the second half of 2018. As far as the prices go, they are likely to remain the same as before. Currently, the base petrol variant of the Aspire retails at INR 5.68 lakh, with the top-end petrol going for INR 8.64 Lakh. The base diesel variant of this compact sedan costs INR 6.78 lakh. While the top-end diesel trim retails at INR 8.41 Lakh. In the spy shots, the test mule of the Aspire facelift was heavily camouflaged. This indicates that the exterior profile of the vehicle will have significant updates. Consequently, the front and the rear fascia of the compact sedan will have major updates. Apart from the exteriors, the cabin will also get a significant overhaul. The dashboard design is likely to feature the same layout as we saw on the EcoSport facelift. Primarily, the engine specifications of the Aspire facelift will remain the same as before. 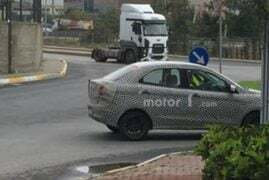 However, according to recent media reports, with the update, the sedan could feature a new 1.2-litre Dragon petrol engine. This will joint the list of options which already includes a 1.5-litre petrol and a 1.5-litre diesel engine. The 1.2-litre motor is claimed to offer 18.16 km/l of fuel efficiency. On the other hand, the 1.5-litre petrol and the 1.5-litre diesel offer 17 km/l and 25.8 km/l mileage respectively.